Psychic, Clairvoyant, Tarot and Angel Cards, Clairsentient, Clairaudient. I love to give my clients clarity and to help them to find solutions to the issues that are concerning them. I enjoy looking at what the future holds for them and giving them reassurance that they are on the right path or helping put them back on the right path. Sometimes my clients just do not know where to turn and they will have had sleepless nights over the subject that they are asking me to look at and I love it when I can hear the stress leave their voice. I am a down to earth Yorkshire girl who will never ever judge you but will only try to help you. At the end of your reading with me I want you to feel better and if I can make you smile then that makes me happy. Yes I am, I am very typical, I am loyal and a true friend. I am also very down to earth and with the help of my spirit guides can immediately pick up on the issues that are bothering my clients the most. But I am also sympathetic and can relate to the problems that my clients have and help them by giving them clarity. From a very early age I had imaginary friends but of course they were real to me. I remember when I was 8 years old seeing the spirit of a much loved auntie leave her body. I always knew things before they were going to happen but it took me time to trust my intuition. It wasn’t until I was in my teens that my Indian spirit guide came to help me. I had been aware of him from being small but he sensed that I needed him to help me and put me on the right spiritual path. The feeling of love I get from him when I need reassurance is incredibly powerful. I have been reading for over 25 years and my clients return to me time and time again. All my readings are memorable as I take great satisfaction from helping my clients. What stands out most for me is that spirit shows me things and then I have to interpret what they are trying to tell me! If I get it wrong my spirit guide just shakes his head at me. I was doing a reading for a good friend of mine over the telephone and she had a picture in her hand of 5 family members all older ladies. It was a very old photograph but I could describe clearly to her the ladies and what they were wearing. I knew they were aunties and great aunties. She then asked me what documents she was holding and I was able to tell her a death certificate and a marriage certificate and what they said. I had never seen a death certificate but I knew what it was. I have always worked with vulnerable people and I think the skills that I have developed professionally had helped me when I am doing readings. I have a knack of being able to talk to people and an ability to put them at their ease. I am told that I am easy to talk to and that this helps me with my readings and to put my clients at ease. They have to consider what they want to get out of it and to remember that of the reader is not telling them what they want to hear it is because spirit has something better for them. It is not always possible to provide answers but if spirit will tell you what they think is the most important. This may not be what you want to know! Was a good reader. Really friendly and thorough reading. 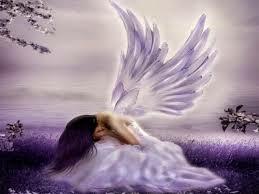 If you are lucky enough to speak to Bethany you will feel like you’re speaking to one of life’s real earth angels. I’ve been speaking to Bethany for over a year about a certain man and she has never let me down with all that she has told me and I trust her fully. Even if he doesn’t finally pull through next month, which Bethany feels he will, I will never forget all that she has done for me over the last 14 months. A truly incredible lady! Han. Lovely reading today with a really wonderful lady, very down to earth, says it exactly how it is, no wasting your time or money!!! Well worth every minute, her predictions are attainable and very achievable, so I believe that she is spot on!! Will let you know how events unfold thank you lovely  ???  ??? ??? ??? ??? Very stressed about work but spoke to Bethany and she successfully peeled me off the ceiling. Highly recommended, will definitely come back to her for another reading.